Run flat tires are being used to solve these problems. Run flat tires are able to support the weight of a vehicle under standard driving conditions for up to 100 kilometres so that you can find a repair shop. Although it may seem to be the perfect solution, motorists should be aware of the trade-offs of run flat tires. According to Edmunds, run flats are standard on 12% of new vehicles. Historically reserved for sports cars, run flats are now being fit as standards to many sedans and SUVs. This is the most common variety of run flat technology. The sidewalls of self-supporting tires are reinforced so that they may support the vehicle even when the tire has lost air pressure. Driveable with no air pressure. 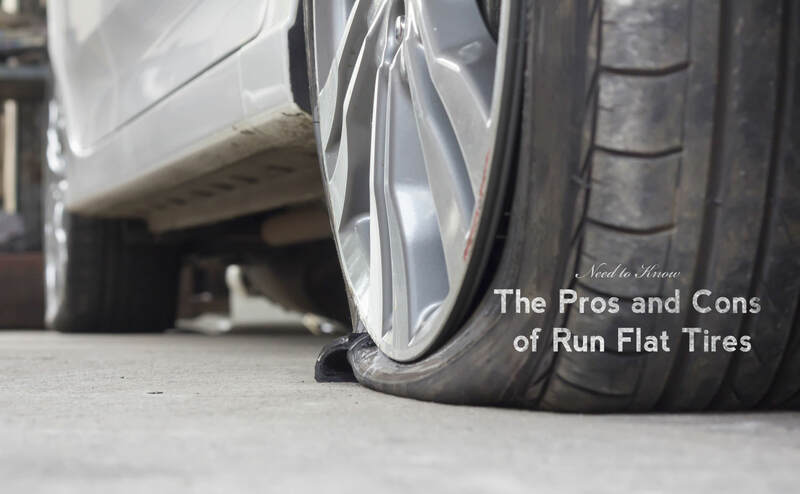 This is the biggest and most obvious benefit of self-supporting run flat tires. Instead of getting out of the vehicle in the pouring rain, at the side of a busy highway, or in a dangerous part of town, you can simply continue on to get to a repair shop. Check the owner’s manual to see the exact figures for range and speed that can be driven. Improved stability after a blowout. With a normal tire, a blowout results in sudden weight transfer and often a complete loss of control. As self-supporting tires are so strong, steering and handling will remain near normal during a deflation. Reduced vehicle weight. Vehicles equipped with self-supporting run flats are generally not equipped with spare wheels and repair tools, as the intention is for the vehicle to be driven to the next repair shop. Theoretically, this should result in significant weight savings, however, due to the weight of the reinforced tires, you generally won’t save as much weight as you may think. No spare wheel. While the omission of a spare wheel, jack, and tools might save some weight, it could prove the be troublesome if you find yourself in a scenario where you would rather change the wheel than drive to a shop. Reduced tread wear. J.D. Power found that run flat tires need to be replaced on average 9500 kilometres sooner than conventional tires. The treads on run flats are often built with softer rubber to combat the harsh ride, which accounts for the reduction in durability. They aren’t invincible. If the driven beyond the zero-pressure range or above the advised speed, run flats can begin to fall apart. This will result in the same destabilizing effects of a blowout on conventional tires. Furthermore, if the damage occurred on the sidewall of the tire or the wheels strike a large object at speed, the driver would need to call for a tow. Requires tire pressure monitoring system. The strong construction of run flats can make it difficult to tell if the pressure is low, leading to drivers unknowingly exceeding the low-pressure range. To be equipped with run flats, vehicles must have electronic tire pressure monitoring systems. Harsh ride. The stiff sidewalls in self-supporting run flat tires often result in a bumpier ride. Vehicles that are factory equipped with run flat tires usually have the suspension tuned to account for the harsh ride. Expense. Run flat tires are almost always more expensive to replace than conventional tires, and often need to be replaced in pairs. The extra expense combined with reduced tread wear can seriously add up over time. Limited availability. Let’s say you experience a puncture, but thanks to your run flat tires you manage to make it to a repair shop in a nearby small town. It may be difficult to source out a suitable replacement, as conventional tires still greatly outnumber run flats. These tires are often conflated with run flats but are actually fundamentally different. Self-sealing tires have a layer of sealant inside the tire so that the tire may maintain air pressure after a puncture. If you remove a nail that is stuck in the tire, the sealant will fill the puncture and keep you rolling. The biggest advantage of self-sealing tires is that they can be mixed and matched with conventional tires and have the same tread life. Major downsides include higher cost and lower availability. Self-sealing tires are rarely included as standard on new vehicles, but many people retrofit them to their vehicles. Take the time to read reviews and get fully informed before making the decision if run flat tires are right for you and your vehicle. If you need to know if your vehicle is equipped with an electronic tire pressure monitoring system, or are wondering if self-sealing tires will work for you, just give us a shout. Many people swear by run flat tires, while many others don’t think that the benefits outweigh the disadvantages.